In fact, you may even get lesser quality footage due to the lens being now an 8x f2.8 to f4.5 lens 24-200mm (35mm Equivalent) which is much slower and by optical standards, it should trail the 2.91x f/1.8-2.8 Lens 24-70mm (35mm Equivalent) of the RX100 V. So you get a $250 price increase for a better AF system, better color in video, a better tilt screen which is now full touch and the ability to zoom 8x. If those things are important to you then the extra money may be worth it. Since the press events were controlled and set up, the initial samples of the RX100 VI all feature similar models and settings. You can expect about the same quality as the RX100 V since it is using the exact same sensor technology and resolution. The camera took nearly a full 2 years to get to market and there is no real increase in image quality aside from a better color science that by some standards is more Canon-Like which should provide more poppy skin tones. The camera will ship July 10, 2018, for $1,198.00 Amazon has a Grip Bundle here as well! Previous Post100 Million fps High Speed Camera Developed to Fight Cancers!Next PostCHRONOS 1.4 SOFTWARE V0.3 RC2 Released! not much of an improvement after RX100IV, the unique thing is we can shoot 70-200mm slow motion but probably usable in daylight. we are also losing ND filter which is a bummer for videography. Too many trade-offs but the quality is still above the phones for now. Plus the S9 only delivers 0.24 seconds recording. Resolution wise it is well below 720p on the S9. 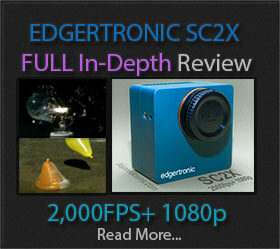 The RX Series are closer to 720p but not really there either. Sony, however, is controlling aliasing and moire better with how they preserve information in the frame. The RX series are much better slow-motion cameras than any phone now. Good luck getting usable slow motion on the Galaxy S9 at 0.24 seconds for anything really serious. The new VI must have a larger buffer as it can take now more JPEG frames at 24 fps compared to the V.
This larger buffer should also allow for a somewhat longer recording time when using the HFR modes, shouldn’t it ? The HFR buffer is not the same as the main image buffer, we will have to wait for the camera to ship to see real recording times on HFR. 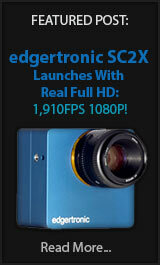 It is an interesting camera package for sure. It is disheartening to see there was no resolution increase in HFR from the RX 100 V.
The 240fps of the S9 is better than the iPhone X and 8 which is great but the quality is nowhere near the RX series at 240fps 1080p. Sure you will have more rec time on the S9 which is also time-limited not infinite but very usable. Sony should add infinite 240fps recording or at least a minute worth on the RX series. The S9 is in the running for best slow motion phone of the year but the usability offered by the One Plus by recording several second’s worth is winning the race even at 480fps.